Some products are so cool and functional that you just can’t wait to get your hands on them and Sea to Summit’s X-Series of cookware is one of those things. The Boulder, CO based company has produced the X-Series of ultra-portable, collapsible dinnerware for some years but they’ve expanded their line into cookware that really brings it to another level with collapsible pots. Read on to find out if my high expectations were met in my Sea to Summit X-Set 31 Review. Sea to Summit offers a number of collections in the X-Series and the X-Set 31 sits in a sweet spot for two person backpacking trips with a pot and two matching sets of eating and drinking vessels. With it, you get the X-Pot 2.8L, (2) X-Bowls, and (2) X-Mugs. The X-Pot 2.8L is a great size for cooking a one pot meal for two to four people. The X-Bowl is a 5-inch diameter bowl that works great as both a bowl or plate for a single person. Finally, the X-Mug is a cup that can hold 16 oz. of cold or hot beverage. The beauty of this system is that all of those items fit inside the collapsed X-Pot like Russian stacking dolls for an amazingly compact set! 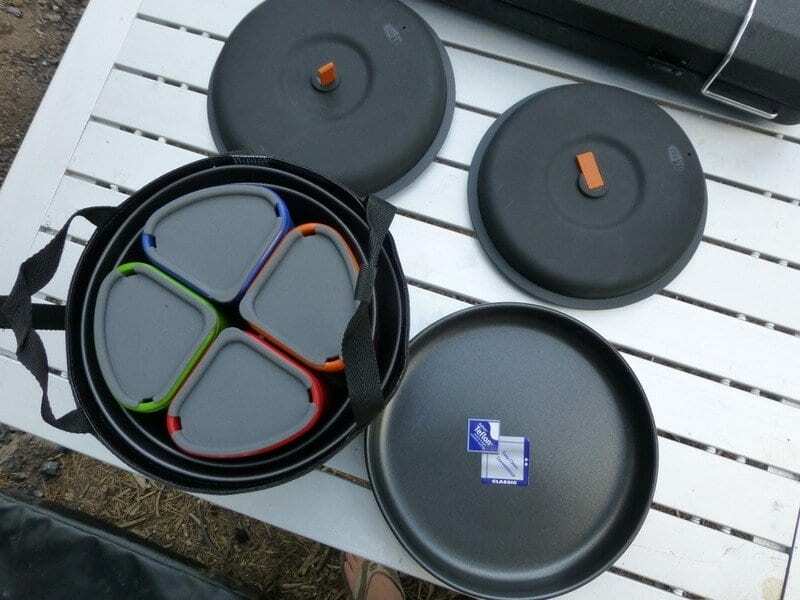 A challenge many backpackers and campers face is how to minimize the space taken by their dinnerware without sacrificing usability and capacity. With the X-Series of dinnerware, Sea to Summit is designing products that address this challenge by making sure campers have less compromises to make. The X-Bowl accomplishes this through collapsibility. Two different pieces make up the construction of the bowl: a rigid, cut- and heat-resistant nylon base and a flexible, food-grade silicone siding. The siding is bonded to the base and built in a way that allows it to collapse down and stay put and also have a semi-rigid feel when expanded. Expanded, the X-Bowl offers 2.25 inch walls and a 22 fl oz capacity. When collapsed, you’re left with a 3/4 inch high disk that weighs only 2.8 oz. In testing I found the Sea to Summit X-Bowl to be just big enough to work as a plate or bowl, with the sides helping to keep food inside when used as a small plate. 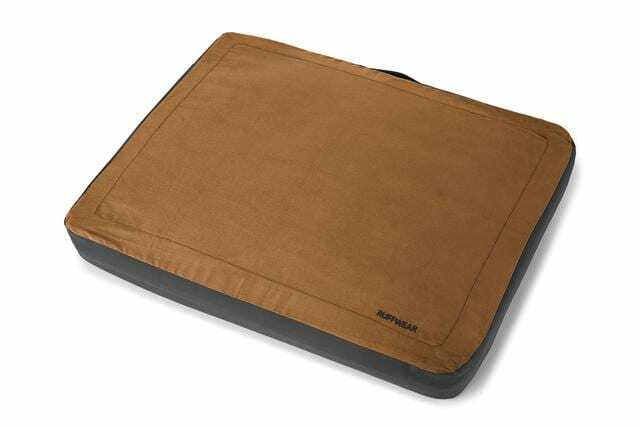 Sea to Summit does offer the X-Plate, which is 8 inches in diameter and a great option if you want more cutting space. As a bowl, 22 oz is a good size portion of pasta or soup and you can always fill it up with more obviously. Initially, I was curious to see if a flexible walled bowl could actually be stable enough to hold its shape and thankfully, Sea to Summit did a great job balancing collapsibility with rigidity and I had no complaints. Clearly, it can’t be as rigid as a non-collapsible bowl, but this is a compromise I think a lot of campers are willing to make. When you’re done using the X-Bowl, simply push it down on flat surface and it will collapse back into itself for transport. There’s something about a collapsible drinking vessel that I just love. Maybe it harkens back to a memory of a collapsible cup from childhood that was made of a stack of plastic rings that fit into each other when you pulled it up… Consider the Sea to Summit X-Mug the grown-up version of that. At just 4.5 inches in diameter and 3/4 inch height (when collapsed) you can bring along a legitimate mug that fits in the palm of your hand. The X-Mug is designed in sort of a reverse way from the X-Bowl by having a rigid nylon ring at the top and flexible, heat-resistant, food-grade silicone vessel that expands downwards. The purpose of this is to provide a rigid top that makes the mug easier to hold while also preventing scalded fingers from hot contents. In practice, this works about as well as you could expect and it gets the job done but you will not be replacing your ceramic mug with a handle at home anytime soon. It’s slightly awkward to hold at the top ring but I found that a two-handed grip vastly minimizes this issue. That said, once the liquid is cool enough to not be burning hot (or if you are drinking a cold beverage like water), the X-Mug is perfectly rigid enough to hold like a normal cup. Amazingly, this little mug can hold 2 cups or 16.2 oz of liquid in it, which is the same as a standard tall water glass you’d find at most restaurants. As a great addition, there are markings on the inside of the walls for cups and milliliters to aid in measurement. The X-Mug has definitely replaced my previous mug for backpacking because of its super small size and solid functionality. All they need to do now is offer a lid with a drinking spout in it and they’ve got the perfect backcountry cup. The cooking pot is often the largest and most awkward element of your camping cookware and can take up a lot of space in your pack. 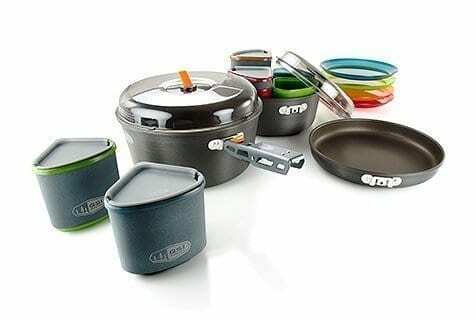 Prior to the introduction of the X-Pot, choosing cookware for camping usually involved making a trade-off for a smaller capacity pot that fit better. A smaller capacity means multiple rounds of boiling water and less ability to make a hearty sized meal in one go. This can be a real pain after a long day’s hike or a late night campground setup. With the first products in the X-Series, Sea to Summit had figured out how to make portable eating and drinking vessels but they couldn’t withstand direct heat needed to cook with. To solve this, the company engineered a hard anodized aluminum base that could sit on top of a camp stove and allow water and liquid based foods to be cooked. Using their existing expertise in collapsible vessels, they created a fully featured cooking pot and called it the X-Pot. The X-Pot 2.8L is 8.4 inches in diameter and collapses down to about an inch tall, thus occupying very little space while being able to safely cook up to 2 liters of liquid. Thankfully, just like the X-Mug and X-Bowl, there are interior measurement markings in liters and cups to guide you. That said, I do wish they showed increments smaller than 2 cups at each mark. It’s important to note that the X-Pot is only intended for use on a camp stove that has a flame contained under the diameter of the metal base. The silicone sides are NOT able to receive direct flame. While I’m on warnings, I’ll also not liquid MUST be in the pot when used and it can NOT be used for dry cooking. I used my super compact Snow Peak GigaPower Auto stove to test out the X-Pot while boiling water, heating soup, and making mac and cheese. Results overall were very positive. Boiling times were about average for this method of heating. The lack of metal walls definitely means that boiling will not be quite as fast as most standard aluminum pots. Also, because this is not a heat-sync system like you’d find on a MSR Reactor or Jetboil system, those will outperform the X-Pot for pure boiling speed. However, those systems require special pots that are even larger than a standard pot, not to mention the X-Pot. The X-Pot actually has a leg up on traditional metal pots when it comes to making messy meals like mac and cheese because the silicone side walls are much easier to clean and this is always greatly appreciated while camping. Sea to Summit thought long and hard about usability when they designed this and it shows with the tabs on the side of the pot and the included lid. The tabs serve multiple functions, allowing the pot to be picked up while hot and also securing the lid to the base for transport. The lid has a built-in strainer which was perfect for draining water from pasta. 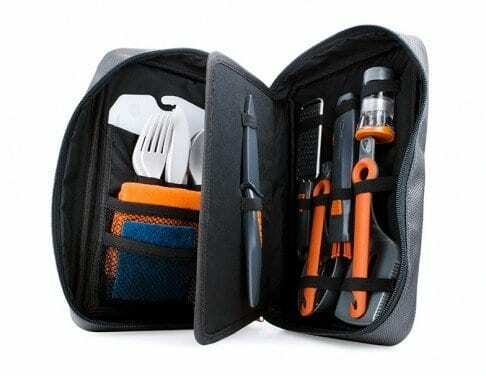 The lid handle is easy enough to grab and is made of the same collapsible silicone for tight packing. I truly enjoyed testing the X-Pot 2.8L and found it to be well thought out and with few drawbacks. The main trade-off with it is that it is heavier than many traditional pots 10.3 oz but keep in mind that a tighter packed bag can add more comfort than a few saved ounces of weight. These tabs act as handles for lifting the pot. Strainer built into the lid.